Marlon Chen is considered one of the most versatile and dynamic conductors of his generation, he is equally at home conducting opera, ballet, and the symphonic repertoire. Since 2004, he has been music director of the Maggini Ensemble, one of the most exciting Chamber Orchestras on the classical scene. An assistant conductor of the Orchestre de Paris since 2010, he is frequently guest conducting in Europe and in the Americas. From 2002-2009, he was music director of the Youth Orchestras of San Antonio, past positions include conductor of the University of Incarnate Word and staff conductor at the Shepherd School of Music at Rice University. He has made guest appearances with many of the world’s finest orchestras such as Opera National de Lorrine, Orchestre de Paris, Ensemble Orchestral de Paris, National Orchestre d’ile de France, MAV orchestra of Hungary, Orquestra Sinfonica de Xalapa, English School of Opera Festival Orchestra in London, Cadaques Orchestra, Bulgarian State Opera, Festival Orchestra de Sofia, Moldova Chamber Orchestra, Silesian Philharmonic, Winnipeg Symphony, and the San Antonio Symphony. While he was with the Youth Orchestras of San Antonio, he was involved with two international tours and was the longest tenured conductor in the history of the organization. With innovative and creative programming he has led the Maggini Ensemble consistently to sold out performances where the Houston Chronicle once praised him for his eloquent gestures and remaking “..the performance was beautiful!” With Maggini, the ensemble was a star feature with the Uniquely Houston Series at the Hobby Center for the Performing Arts and was instrumental in providing out-reach concerts to thousands of students in the Houston area. A champion of new music, he has given more than 50 premiers and helped in the commissioning of many works for up and coming composers. As a composer/arranger he has often performed his own works with the major orchestras he has conducted. 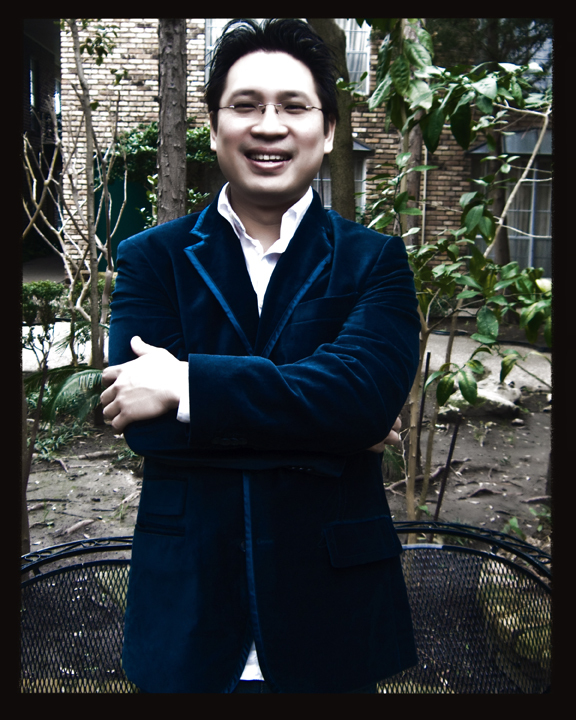 Mr. Chen is a National Presser Foundation recipient, and in 2007 he received a generous grant from the Institute of Hispanic Culture Award in Houston to research and orchestrate the music of the Tango in Buenos Aires, Argentina. Currently based in Paris, France, Mr. Chen is frequently guest conducting and working on personal compositional projects.